Interactive learning solutions company and online world developer Virtual Heroes has developed an interactive training game for use by Hilton Garden Inn. The company developed a virtual Hilton Garden Inn hotel that features various scenarios for employees to practice interactions with guests. Called "Ultimate Team Play," the actions that the staff takes in the simulation affects the mood of the virtual guests, implementing the Hilton Garden Inn brand's SALT (Satisfaction and Loyalty Tracking) scoring system to evaluate the employees' work and assign them a 1-10 ranking. The full interactive game version set to launch to all Hilton Garden Inn locations in January 2009 will include positions in housekeeping, food and beverage, engineering/maintenance as well as front desk. Virtual worlds are becoming increasingly rich and diverse environments with complex social and economic eco-systems. Science fiction trading game Eve Online is one of the most dynamic worlds, with its own economists helping players get to grips with the intricacies. The Nintendo Wii is an astonishing computer, the console for people who don't play games, nestling next to the TV like a family pet and encouraging those who would normally sneer at a PlayStation to wave their arms around in order to play virtual tennis. At the 2008 NY Toy Fair there was a new virtual worlds product announcement called ME2 by Irwin Toy which is designed for kids. What is most compelling about this world is the pedometer-like devices that are sold to kids to access the online experience. As kids move, exercise, ride a bike, and play with the device attached to their waist, the device accumulates points. These points then become the online currency in the virtual world for buying virtual items. A great virtual world idea and social networking toy twist to keep kids active. It was a great day for gamers when Ian Bogost appeared on The Colbert Report recently to promote his latest book, Persuasive Games. Finally, someone's willing to make videogames look good on national television, and it's a guy who flaunts his Mii character when he guest edits on Kotaku. He's a game developer, academic, author and defender of the medium. In other words, he's "one of us." Blue Mars: A Better Second Life ? As a specific concept, serious games have been drifting around the design sphere since at least the turn of the millennium. Yet for all the hype, and all of the yearly GDC conferences on the subject, the theory has had some trouble gaining traction as more than an academic or industrial curiosity. According to Ben Sawyer of Digitalmill and Peter Smith of the University of Central Florida, some of the problem in the serious games movement is a general haziness as to exactly what serious games are, and are for. Online 3D virtual shopping malls that link directly to your online store! 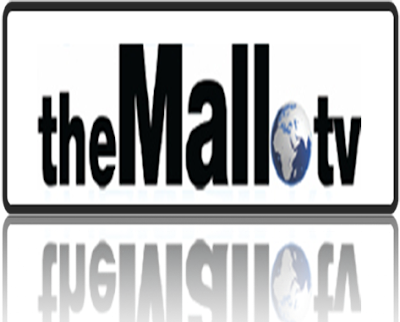 TheMall.tv © is a new exciting innovation that is set to change the way people search and shop online. Forget trying to get listed in text based seach engines, your customers can find your store quickly and easily in our fully interactive virtual malls. This is a unique opportunity for advertisers to get ahead of the game, so register for your free demo account today and experience the unique features on offer. Mova Contour Reality Capture in Unreal Engine 3 from Joy Stiq on Vimeo. The Serious Games Symposium (SGS) 2008 is a joint venture of the Instructional Systems Technologies Department, the Technology Management Faculty at H.I.T-Holon Institute of Technology, with the support of the Israeli DiGRA (Digital Games Research Association) Chapter. Place: H.I.T-Holon Institute of Technology*, Holon, Israel. Building 3, Conference Room, 2d floor. * The SGS 2008 is planed to take place in Second Life, in collaboration with the Serious Games Institute (SGI), Coventry University, UK. The £99 laptop: how can it be so cheap? A new laptop computer for just £99 sounds like the kind of offer found in a spam e-mail or on a dodgy auction website. But the British company Elonex is launching the country’s first sub £100 computer later this month and hopes to be making 200,000 of them by the summer. It will be aimed at schoolchildren and teenagers, and looks set to throw the market for budget laptops wide open. 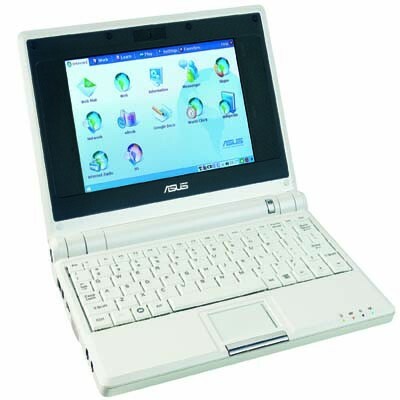 Called the One, it can be used as a traditional notebook computer or, with the screen detached from the keyboard, as a portable “tablet” – albeit without the planned touchscreen that Elonex had to abandon to hit its £99 price tag. Wi-fi technology lets users access the internet or swap music (and homework) files between computers wirelessly. IBM has launched a free, 3-D online game that challenges teens to help save the planet "Helios" from sandstorms, floods, and "SmogGobs" before natural resources are depleted. Can teenagers fend off ecological disaster and save the planet? In the virtual world of PowerUp, they can. The virtual science game lets multiple players create avatars that race electric-powered buggies across the desert in search of heliostats and junkyard parts to engineer and rebuild wind turbines and solar panels. Players also are challenged to harness water power and make decisions about energy consumption on a planet that faces ecological ruin. They meet in an orientation center to chat with each other, as well as with nonplaying engineers who provide their experience and act as guides. Accompanying lessons provide fodder for discussion of energy and other topics. An interactive module allows young people to learn about 3-D technologies and how to build virtual worlds. The game was launched Friday, as part of IBM's TryScience initiative, at the beginning of Engineers' Week 2008 in the National Building Museum in Washington, D.C. The TryScience initiative and Engineer's Week encourage students to consider engineering and science careers. "Innovation is the key to competitiveness in today's globally integrated economy, but just when we need it to skyrocket, interest in math and science has been declining in the United States," Stanley Litow, VP of corporate citizenship and corporate affairs and president of the IBM International Foundation, said in a statement. "American competitiveness demands more interest in math and science by students. Virtual worlds and 3-D are an unexplored resource in education. We asked our best researchers to incorporate the use of this technology into traditional educational curriculum." IBM pointed out that U.S. jobs in science, technology, engineering, and math are forecast to grow 22% through 2014, and computer specialist occupations are expected to grow 30%. At the same time, reports show that American grade school students lag behind other developed countries in science and math. Game Tracks Plight of Immigrants in U.S.
States and ensure due process and fairness for all those who live in the country. The game is available for free download at www.icedgame.com. violating human rights and denying due process. Reprogram a PlayStation and it will perform feats that would be unthinkable on an ordinary PC because the kinds of calculations required to produce the realistic graphics now seen in sophisticated video games are similar to those used by chemists and physicists as they simulate the interactions between particles ranging from the molecular to the astronomical. Europe's leading conference continues to focus on the key issues for the serious games community, show-casing the best in the market. The Serious Games Summit GDC spotlights the rapidly growing serious games industry that features the use of interactive games technology within non-entertainment sectors. The summit provides a forum for game developers and industry professionals to examine the future course of serious games development in areas such as education, government, health, military, science, corporate training, first responders, and social change. It weighs less than a bottle of Coke, is smaller than an A5 pad and is so cheap the odd one left on a bus wouldn't break the bank. A lightweight laptop, hailed by self-confessed techno-geek Stephen Fry as the future of computing, has found an unexpected market: schools. The computers, inspired by attempts to design a cheap laptop for the developing world, are being plugged into school networks, then given to pupils to take home in their satchels to do their homework. Ministers have backed a pilot scheme in which the laptops are sold to year groups in eight schools; 1,600 pupils are taking part, with parents contributing to the cost of the computers, and discounts for children who receive free school meals. After years of research and proselytizing, the proponents of digital game-based learning (DGBL) have been caught unaware. Like the person who is still yelling after the sudden cessation of loud music at a party, DGBL proponents have been shouting to be heard above the prejudice against games. But now, unexpectedly, we have everyone's attention. The combined weight of three factors has resulted in widespread public interest in games as learning tools. Held in the historic city of Cambridge, this conference is the first in a planned series of international conferences on serious games, i.e. game software applications that are designed to do more than entertain. The focus is on their potential use in education and training. Robert Bloomfield and Metanomics hosted Robert Gehorsam, President of Forterra Systems Inc.
January 28, 2008, Robert Bloomfield and Metanomics interviewed David Wortley, Director of the Serious Games Institute, which is associated with Coventry University in the UK. The event was held at the Arena at Muse Isle using live Second Live voice and was broadcast by SLCN to our event partners. Many thanks to the speakers and to our guests who participated in a lively discussion as the event occurred.